The Great American Stuart Gun Show will be held next on Sep 14th-15th, 2019 with additional shows on Dec 28th-29th, 2019, in Stuart, FL. 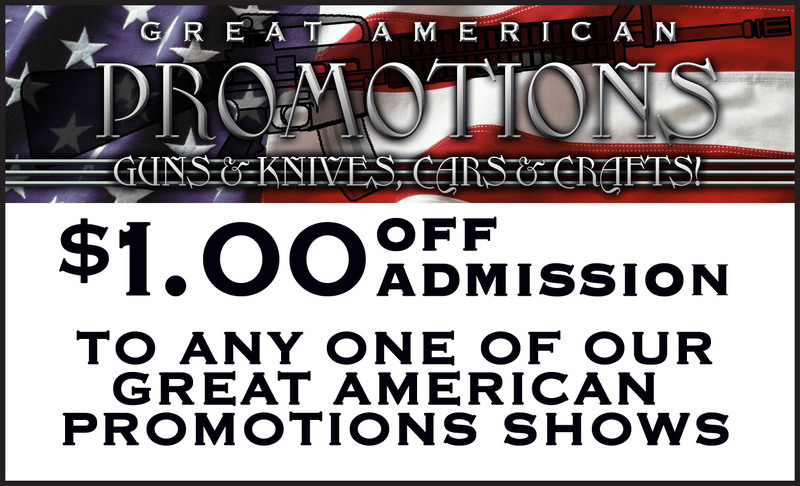 This Stuart gun show is held at Martin County Fairgrounds and hosted by Great American Promotions. All federal, state and local firearm ordinances and laws must be obeyed. If you live close by and love guns as I do it’s better than nothing. Sure there are bigger and better shows out there but when it’s right in your own backyard it’s worth a walk through. It costs 8$ for a value meal at MacDonald’s so its not too overpriced for an afternoon of checking out some cool stuff. Don’t go to this event if you are expecting a gun show, it’s a hot un-airconditioned (1/2 of it) flea market. No deals, lame vendors, very small..
Small show, but some good bargains can be had. Entry fee should be lower. AGAIN, this gun show is a joke and waste of time and gas. Ridiculously hot in the buildings. Walked in the one side with no A/C and immediately walked out. This is my 3rd try and I’m out, never again. I’ll go north where I have always been happy at the Ft. Pierce and Vero shows. Don’t waste your gas or time on this show, worst gun show I ever been to. Should be free entry or close its doors. I’ve been to this show 3X. And it’s the same nothing. 1st of all HOT as hell, very little venders,not much to see,buy,the same old crap. Not worth going.!!! I’m a local… so its great to have a nice little show within 5 minutes. If you’ve got nothing to do then come out for sure, have some lunch at a local business and hang out. I wouldn’t travel more than 30 mins though. Small show, but some bargains can be found. Too small to warrant the $8 entry fee, however. Seemed pretty small compared to others I’ve been to, but it’s the closest one to where i live than the others . Don’t know how long they’ve been doing them there but I can only hope the word gets out and they get Bigger and Better as time goes by. Was a great show. lots of bulk ammo in all calibers. many parts for ar 15 .this show had more than 120 tables and about 30 plus venders. little show that packs a big punch. Great american thanks for a great show. Worst show in the tri county area. No bulk ammo vendors. No gun part of accessory vendors. No reloading supplies at all. Wish I could rate negative stars. Took less than 10 minutes to walk the venue. I tend to find some good things at this little show. allot of people that don’t want to come up for other shows come here.